Since we’ve been in Canada, we’ve got excited at various points about spotting wildlife that we wouldn’t see in the UK. So far we’ve seen a mummy black bear with her two cubs, a coyote, mountain sheep, elk, a skunk, raccoons and several groundhogs! 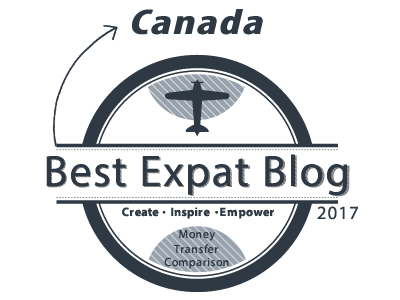 But other than bears, Canada’s other two iconic animals have proved rather elusive. We’ve seen beaver homes and their dams. We’ve seen moose footprints. But never have we actually seen either of the animals, which leads us to believe that both are possibly fictional, much like the Loch Ness monster, yetis or Big Foot, and part of an elaborate tourism hoax by the Canadian government. However, undeterred, back in the early summer we headed north with Emma’s visiting parents, to Algonquin Provincial Park, with the aim of finally seeing our first moose. 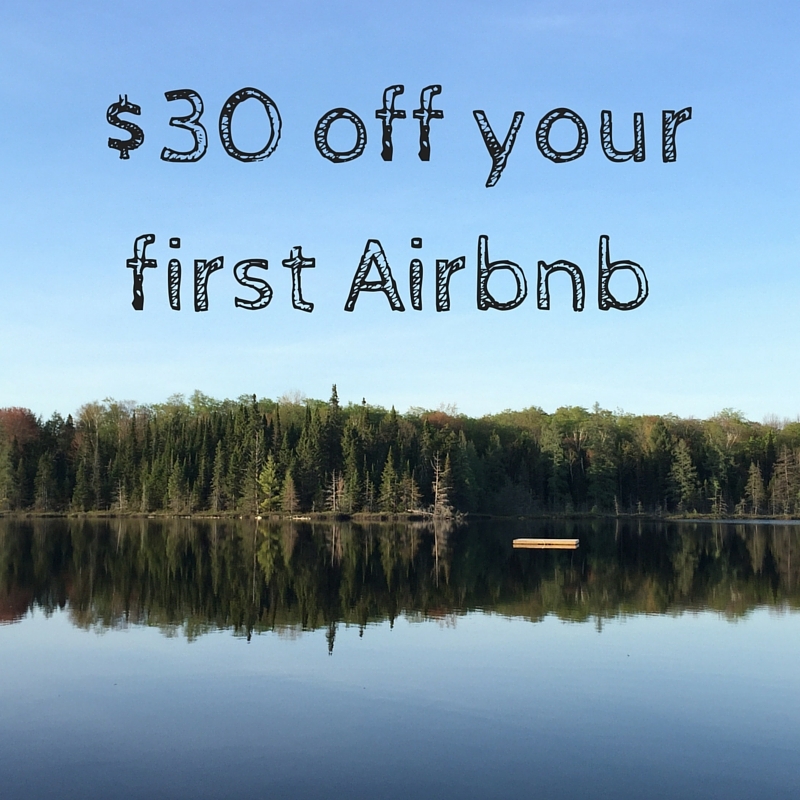 Algonquin is a vast expanse of land and lakes, which is best explored by foot and canoe. 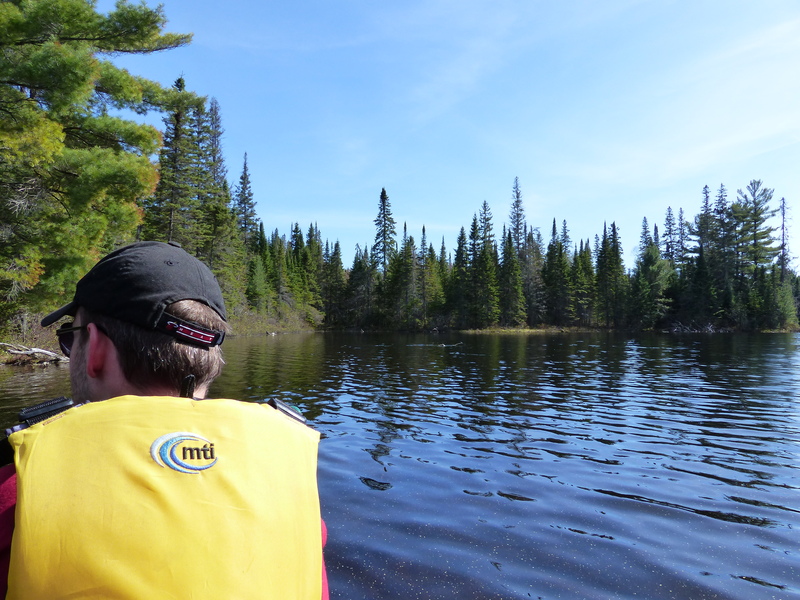 So, leaving Emma’s parents on dry land, we booked ourselves onto a guided canoe tour with Algonquin Adventure Tours. This was a true Canadian experience as we paddled and portaged our canoe around just a fraction of Algonquin for 6 hours. Getting a quick paddling lesson, before heading off in our canoe into the Algonquin backcountry. Starting, appropriately, on Canoe Lake in the heart of Algonquin, we were given a quick canoe lesson by our excellent guide Paige. Then we were off, and soon enough we had left behind the busy waters in the south of Canoe Lake, and were heading into quieter stretches for our adventure. Along the way we passed by a totem pole and monument erected in memory of Tom Thomson, a well known Canadian painter, who was mysteriously found dead on the lake in 1917. 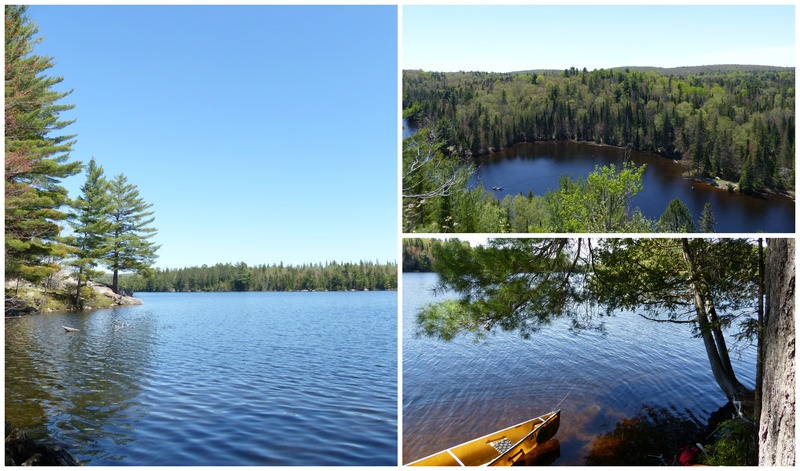 By now our canoe trip was becoming a peaceful paddle across a beautiful landscape. 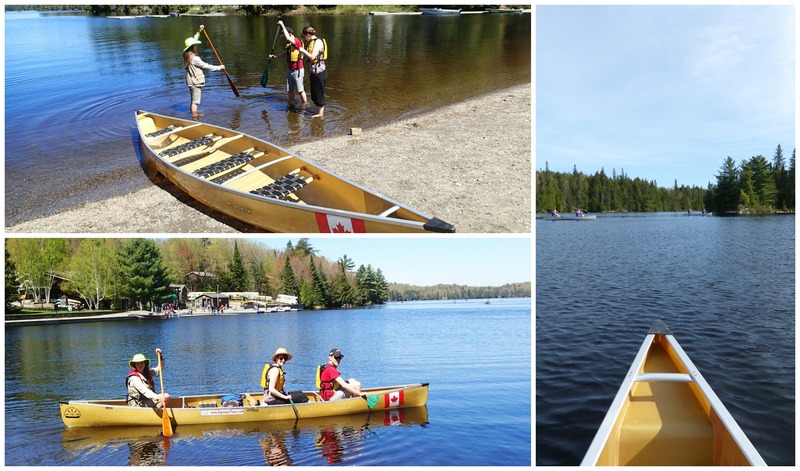 Then came the real hard work, as we portaged our canoe and possessions from Canoe Lake into Joe Lake. All was going so well until my hat fell in the lake in the process! Portaging our canoe and possessions from Canoe Lake to Joe Lake, and then back again later in the day. Once on Joe Lake we moored up, and hiked up to Gibraltar Rock. This small hill is colloquially known as Blueberry Hill due to the wild blueberries that grow here. Wild strawberries can be found too. Once at the top, and accompanied by a stunning view, we tucked into our delicious sandwiches made by the local bakery, Henrietta’s, in the village of Dwight. The view from the top of Gibraltar Rock. 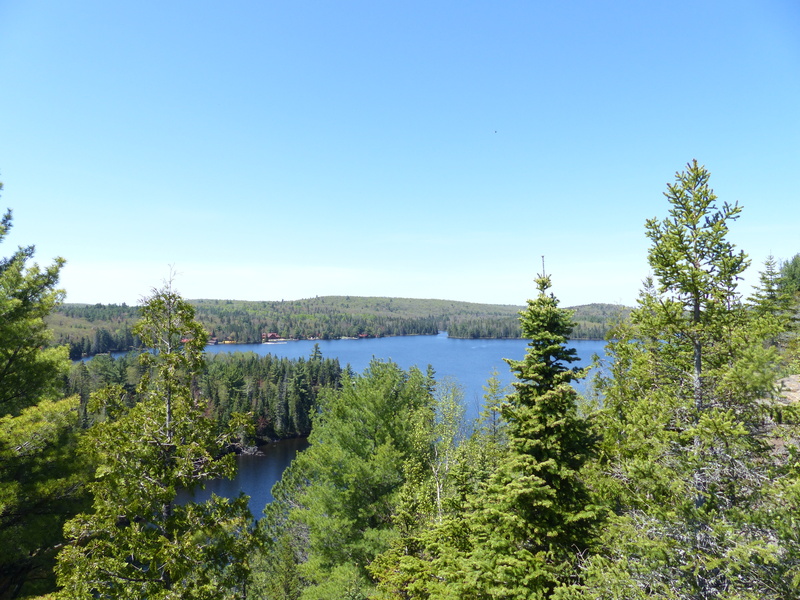 Views over the pretty Joe Lake. Back on Joe Lake, we moored up once again, this time on Joe Island, where we got the opportunity to climb to the top of a small cliff and jump into the cool lake. We all know the pitfalls of jumping off cliffs, so I jumped (excuse the pun!) at the chance of doing it safely. After all, who knows if the opportunity will ever arise again in life. 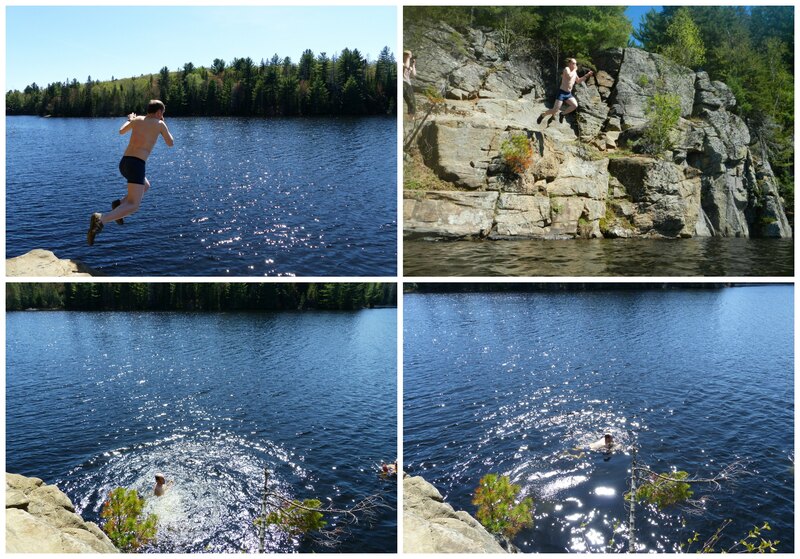 Taking the plunge into Joe Lake. 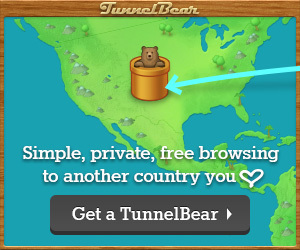 But what about the moose? We saw some moose poo on the hike to our lunch, and we silently paddled into coves, where we sat motionless, for one to emerge. But no moose ever did appear. To hammer in our disappointment, Paige teased us with stories of sightings and close encounters she’d experienced over the past week or two. On the search for a moose. So we paddled and portaged back to our start point on Canoe Lake, and despite our fun day, our tails were firmly between our legs. We hadn’t even seen the consolation prize of a beaver! But then, far off in the distant foliage I spotted something brown and large moving briskly along the shore. Pointing it out to Emma and Paige, they too caught a glimpse. We went to take a closer look, but whatever it was, it had gone. The animal was big and Paige thought it likely to be a moose, and with another canoe joining the hunt she was probably right. But with no photo or clear sighting, we still don’t feel that we can definitively claim our first moose! Got any moose sighting tips? Let us know and hopefully one day we can blog about our first true moose! Like the sound of Algonquin, but don’t have a car? Well the good news for you is Parkbus, who I travelled to Algonquin with. Parkbus operate services from Toronto and Ottawa to Algonquin, the Bruce Peninsula and the Georgian Bay area from Spring through to Autumn. There are multiple pickup points to chose from, and the service is excellent, despite the early start. Make sure you book your place in advance. A one way fare to Algonquin from Toronto with Parkbus costs $63, with a return ticket costing $88. All on board the Parkbus to Algonquin. 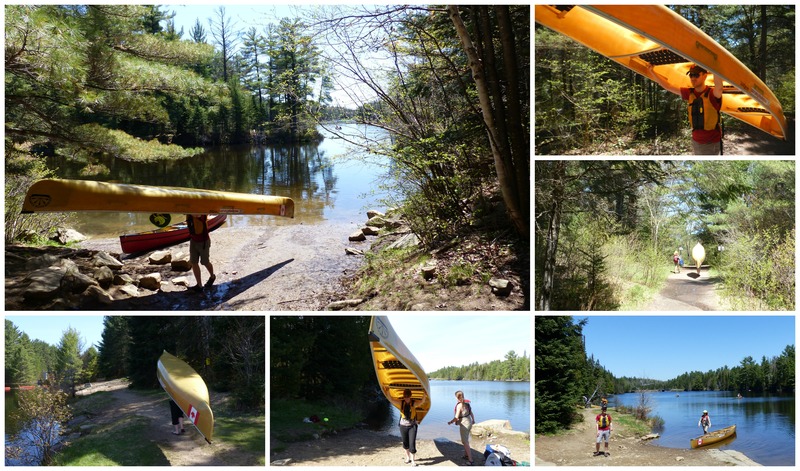 Our 6 hour guided canoe tour was with Algonquin Adventure Tours, and cost $99 +tax per person. There are numerous other tour options available, including multi-day canoe and camping trips, motorised day trips, cycling and hiking tours, as well as cross-country skiing and snowshoe tours in the winter.